Last week, I told you that varicose veins can be difficult to improve. But there are natural remedies that can help prevent them from getting worse and possibly even improve them. The biggest problem is that you really never know what's going to work for your veins. So we're throwing the book at varicose veins. I gave you several options last week. And this week, I'm giving you a few more. Let's start with vitamin E. This natural blood thinner can help improve circulation and reduce pain caused by varicose veins. Before beginning vitamin E, check with your physician. Begin by taking 200 IU in the morning and another 200 IU in the evening. Over a six-week period, gradually increase the dosage until you are taking 400 IU three times daily. Continue at this level for three weeks, and then cut back to 200 IU twice a day. There is one caveat to taking vitamin E. If you have high blood pressure, you should limit your intake of supplemental vitamin E to a total of 400 IU daily. If you are taking an anticoagulant (blood thinner), consult your physician before taking any supplemental vitamin E.
If you're interested in herbal treatments, bilberry has the ability to strengthen vein walls in two ways. First, it acts to strengthen and stabilize the membrane of vein cells. Second, it enhances the effectiveness of vitamin C in reducing the fragility of blood vessels. Try a product with 25% anthocyanidins (also called PCOs) and take 20-40 mg, three times daily. 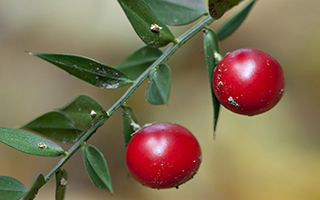 Another herb, butcher's broom, increases circulation to the legs by having a constricting effect on the veins. Try 300-500 mg daily. Ginkgo biloba also improves circulation and enhances tissue oxygenation. Select a standardized extract of the whole leaf containing 24% ginkgo heterosides (sometimes called flavoglycosides) and take 40 mg, three times daily. Gotu Kola improves blood flow in the veins. In clinical trials, approximately 80% of subjects report improvement in their symptoms, such as feelings of heaviness in the lower limbs, vein distension, and numbness. Choose a standardized extract containing 16% triterpenes and take 200 mg, three times a day. Horse chestnut helps to improve vascular tone. Horse chestnut also helps to relieve leg pain and fatigue associated with varicose veins. Take 300 mg of standardized extract twice daily. No matter what remedy you choose remember to initially try one at a time. 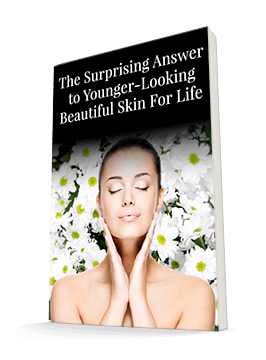 It took a long time to create the compromised veins, so try to be patient with the natural remedies. There are some general lifestyle changes that will help you avoid varicose veins. Rest with your legs elevated, preferably above the level of your heart, as often as possible to help drain any pooled blood. If you wear elastic stockings, elevate your legs perpendicular to the floor before putting them on so that blood flows out of your legs and toward your heart. Both standing and sitting for long periods can worsen symptoms. If you must stand or sit for long periods, try to vary your posture as often as possible and take walking breaks whenever you can. For example, if you find yourself on a long airplane flight, remember to walk up and down the aisle every hour or two. By throwing the book at varicose veins, you can often see relief and help prevent the formation of new ones. Correction: In my alert two weeks ago, I said I don't recommend spider vein injections. This was incorrect. I do recommend spider vein injections if you want to see results quickly. I myself have had spider vein injections. And I have used green tea cream to maintain and mildly diminish them.